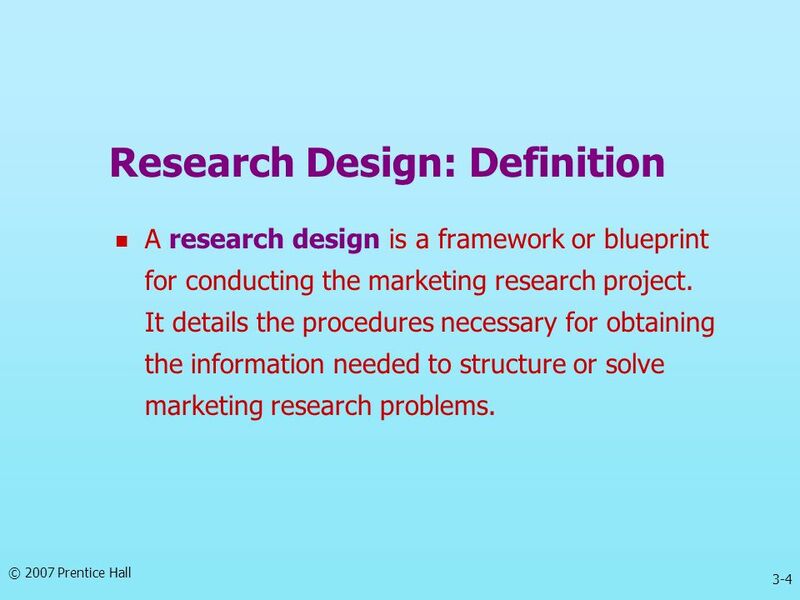 A research design is a framework or blueprint for conducting the marketing research project. It details the procedures necessary for obtaining the information needed to structure or solve marketing research problems. 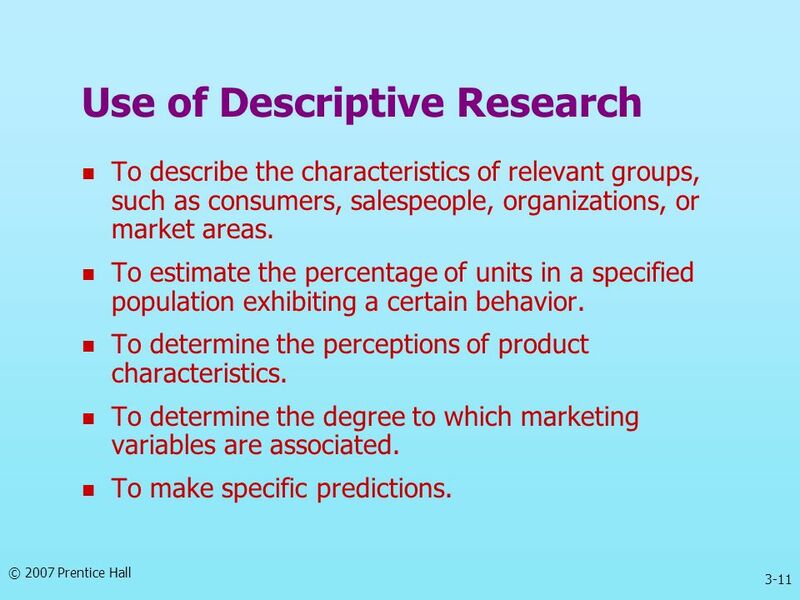 To describe the characteristics of relevant groups, such as consumers, salespeople, organizations, or market areas. To estimate the percentage of units in a specified population exhibiting a certain behavior. To determine the perceptions of product characteristics. 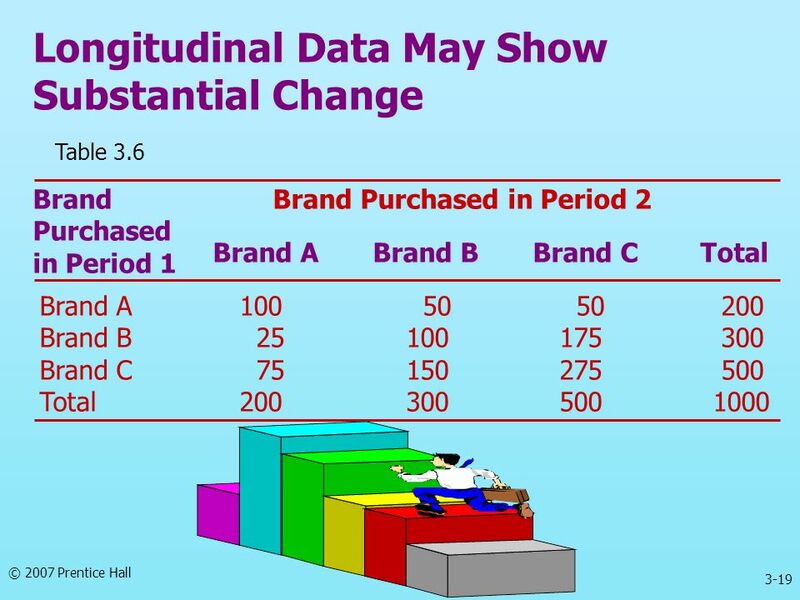 To determine the degree to which marketing variables are associated. To make specific predictions. Involve the collection of information from any given sample of population elements only once. 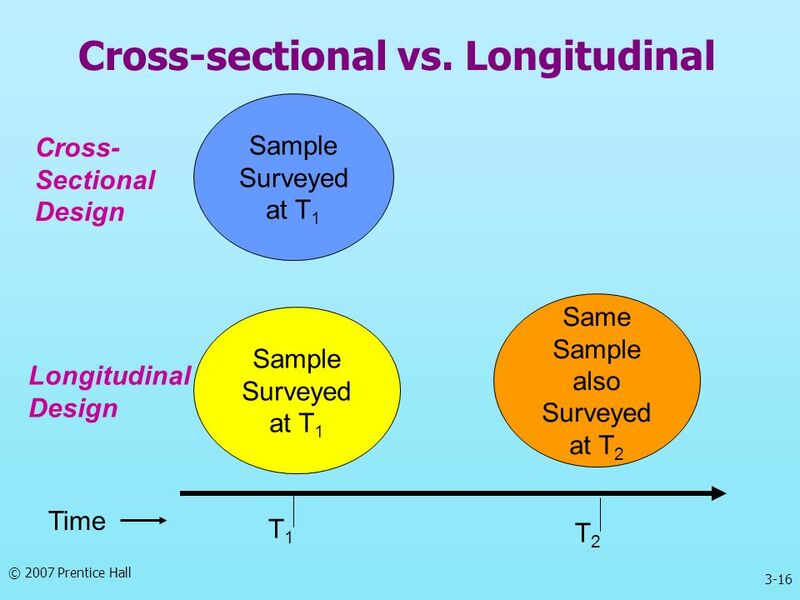 In single cross-sectional designs, there is only one sample of respondents and information is obtained from this sample only once. 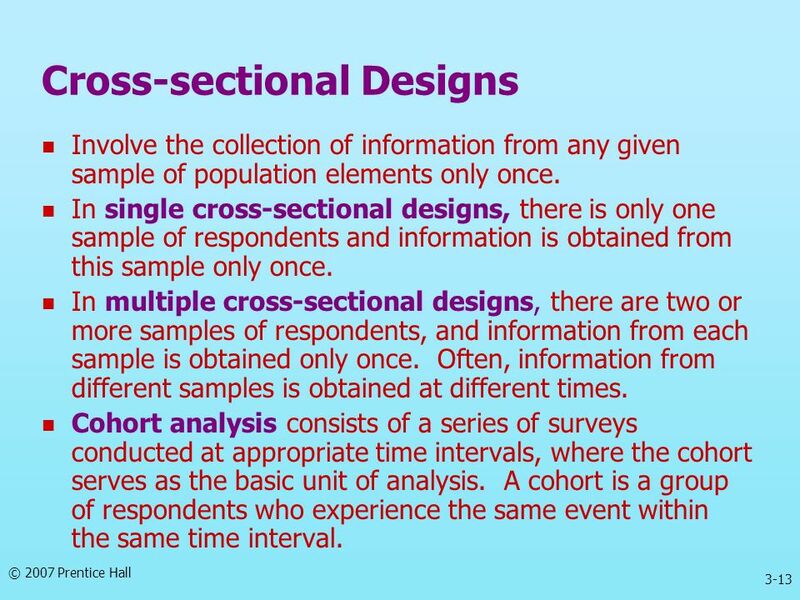 In multiple cross-sectional designs, there are two or more samples of respondents, and information from each sample is obtained only once. Often, information from different samples is obtained at different times. Cohort analysis consists of a series of surveys conducted at appropriate time intervals, where the cohort serves as the basic unit of analysis. 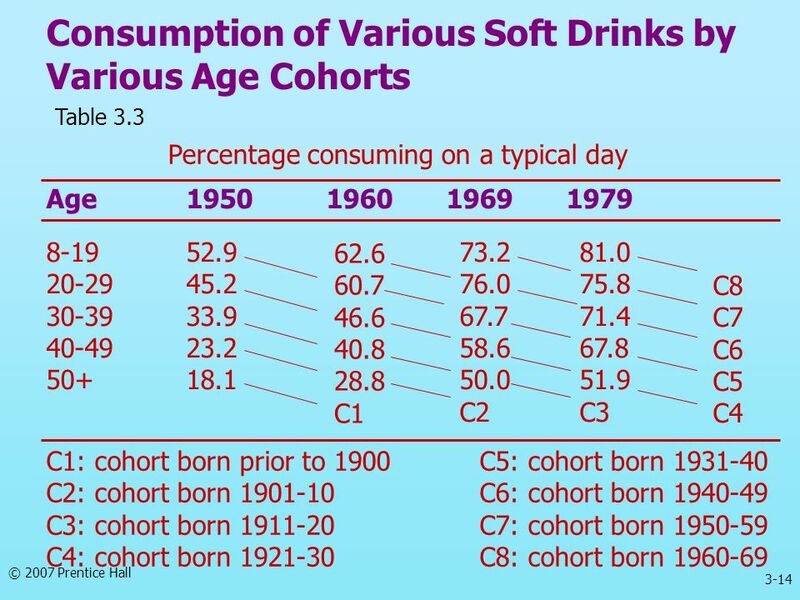 A cohort is a group of respondents who experience the same event within the same time interval. 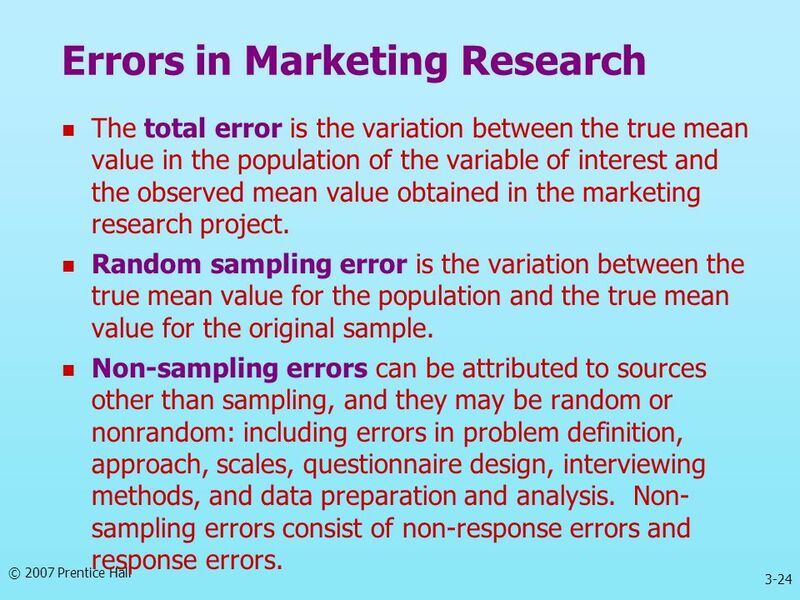 The total error is the variation between the true mean value in the population of the variable of interest and the observed mean value obtained in the marketing research project. Random sampling error is the variation between the true mean value for the population and the true mean value for the original sample. 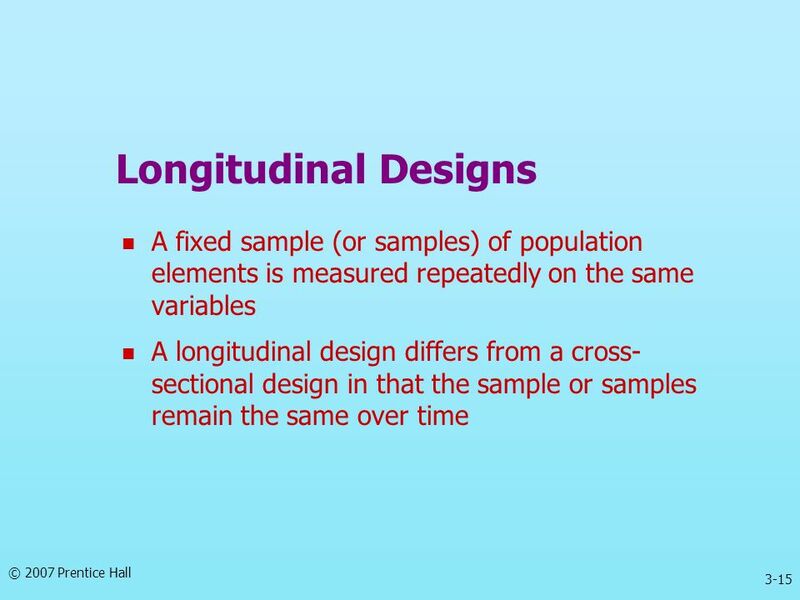 Non-sampling errors can be attributed to sources other than sampling, and they may be random or nonrandom: including errors in problem definition, approach, scales, questionnaire design, interviewing methods, and data preparation and analysis. 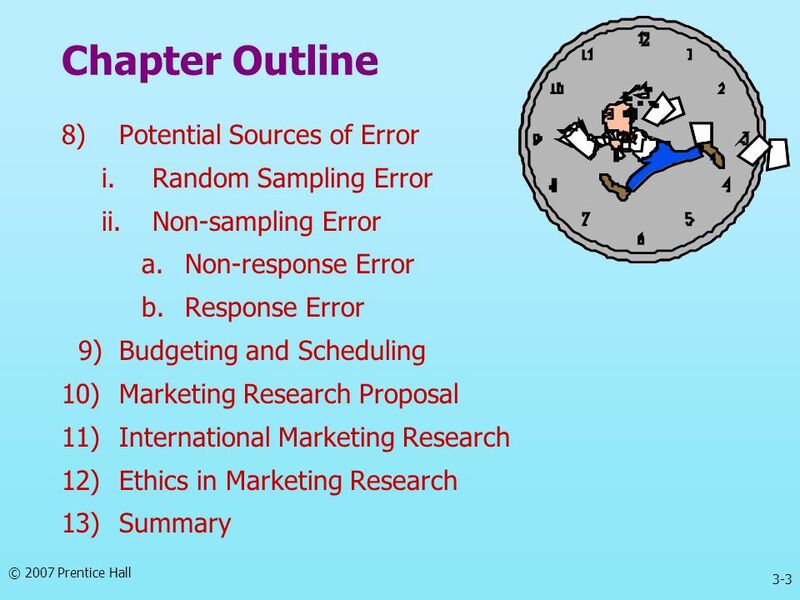 Non-sampling errors consist of non-response errors and response errors. 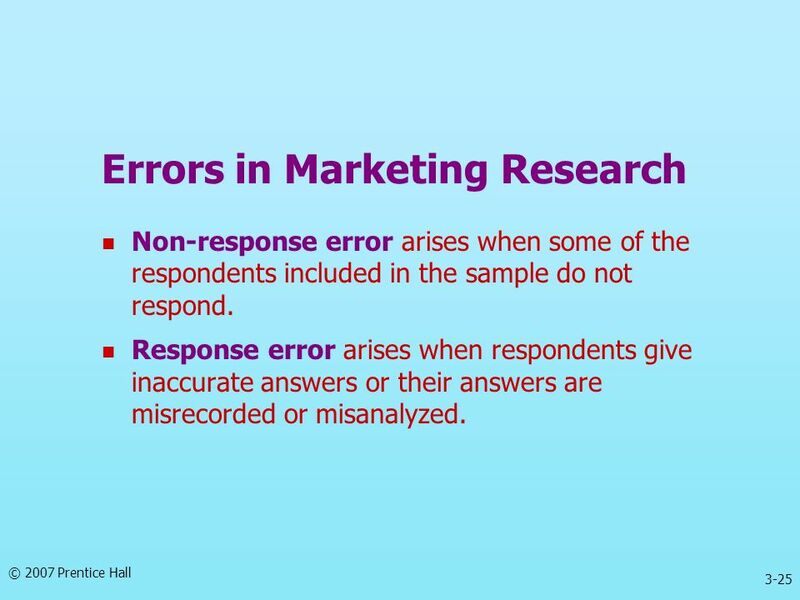 Non-response error arises when some of the respondents included in the sample do not respond. 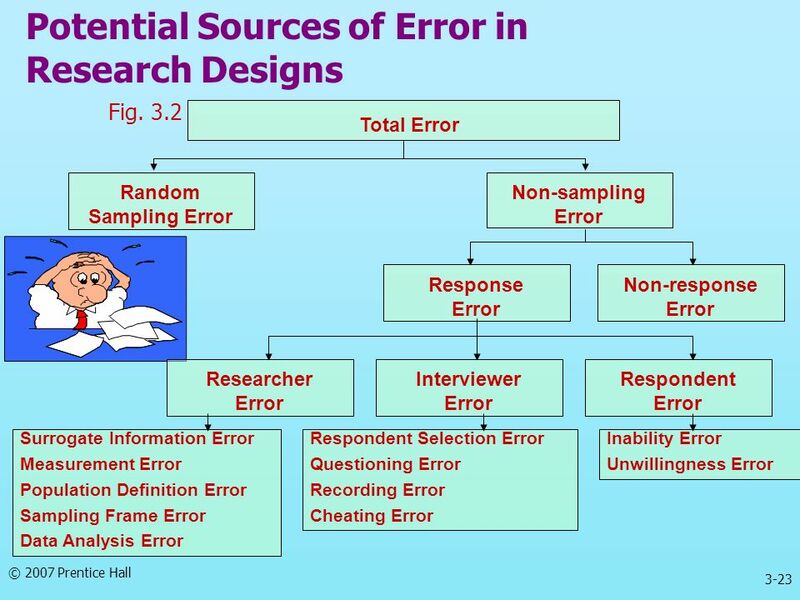 Response error arises when respondents give inaccurate answers or their answers are misrecorded or misanalyzed. 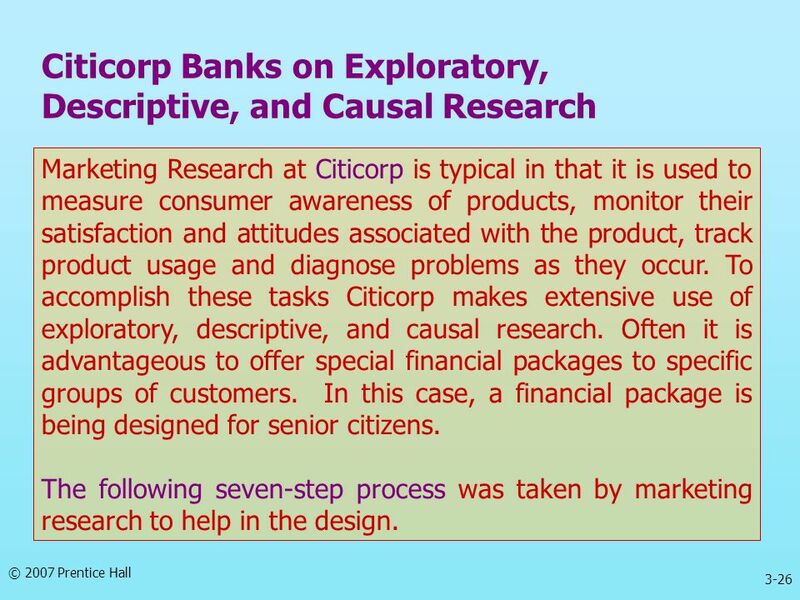 Marketing Research at Citicorp is typical in that it is used to measure consumer awareness of products, monitor their satisfaction and attitudes associated with the product, track product usage and diagnose problems as they occur. 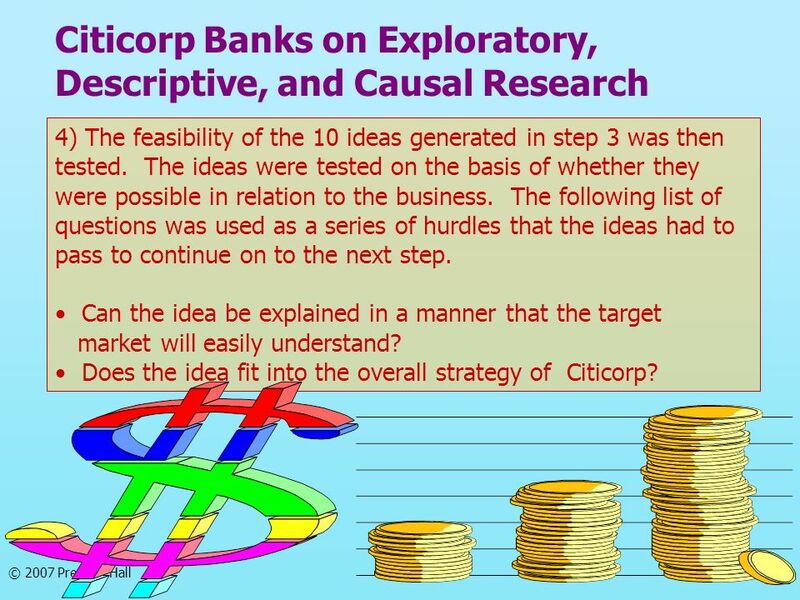 To accomplish these tasks Citicorp makes extensive use of exploratory, descriptive, and causal research. Often it is advantageous to offer special financial packages to specific groups of customers. In this case, a financial package is being designed for senior citizens. The following seven-step process was taken by marketing research to help in the design. 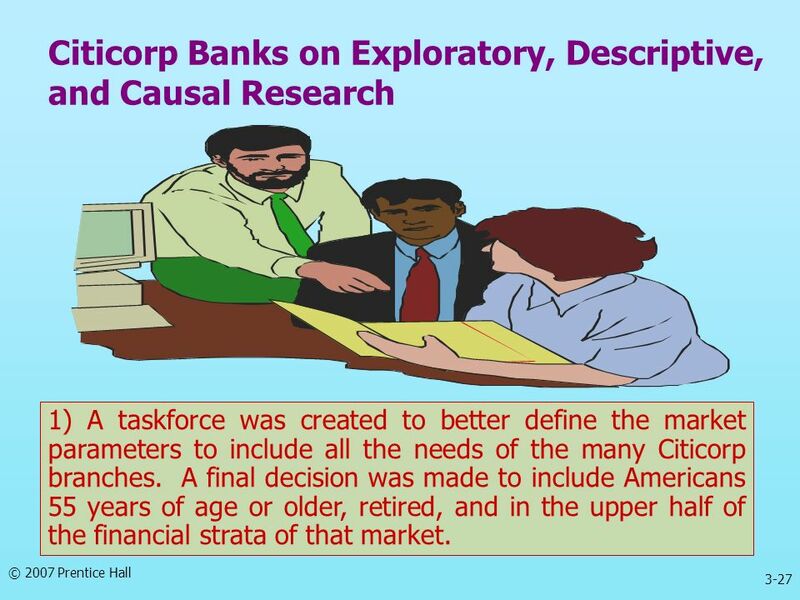 1) A taskforce was created to better define the market parameters to include all the needs of the many Citicorp branches. A final decision was made to include Americans 55 years of age or older, retired, and in the upper half of the financial strata of that market. 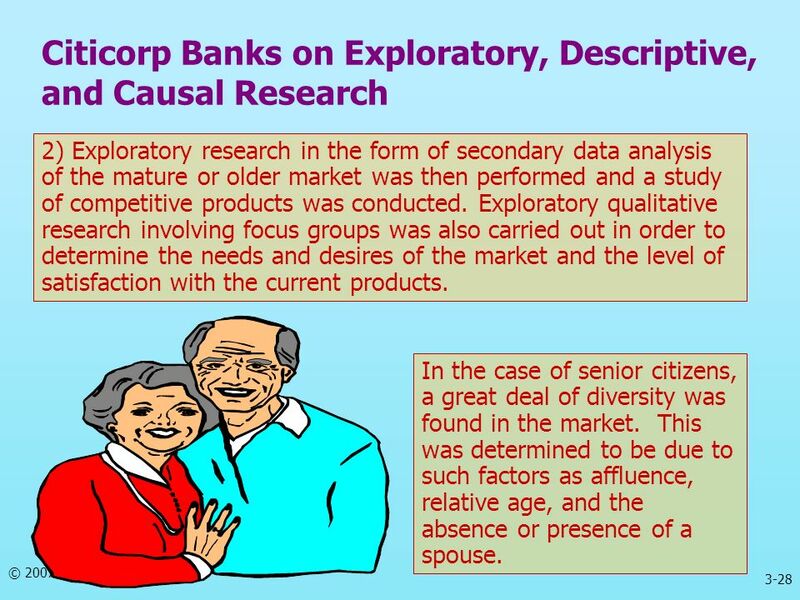 2) Exploratory research in the form of secondary data analysis of the mature or older market was then performed and a study of competitive products was conducted. 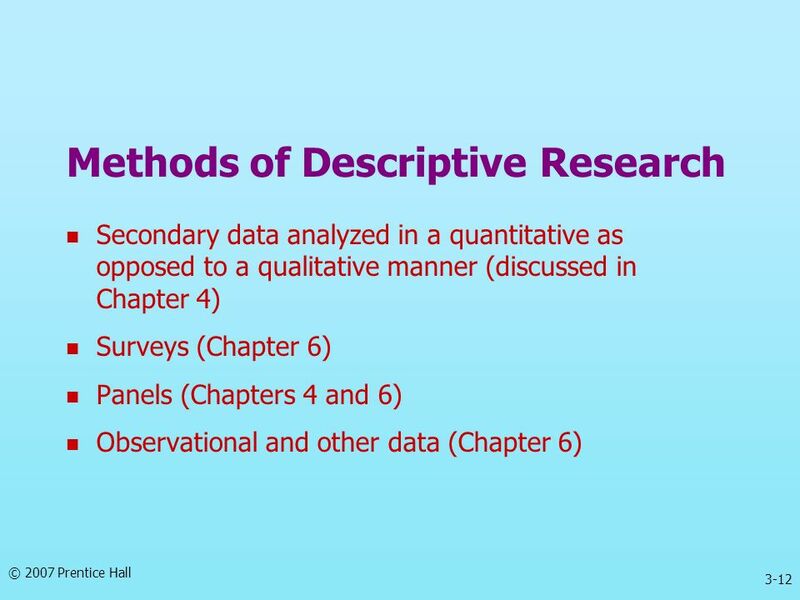 Exploratory qualitative research involving focus groups was also carried out in order to determine the needs and desires of the market and the level of satisfaction with the current products. In the case of senior citizens, a great deal of diversity was found in the market. This was determined to be due to such factors as affluence, relative age, and the absence or presence of a spouse. 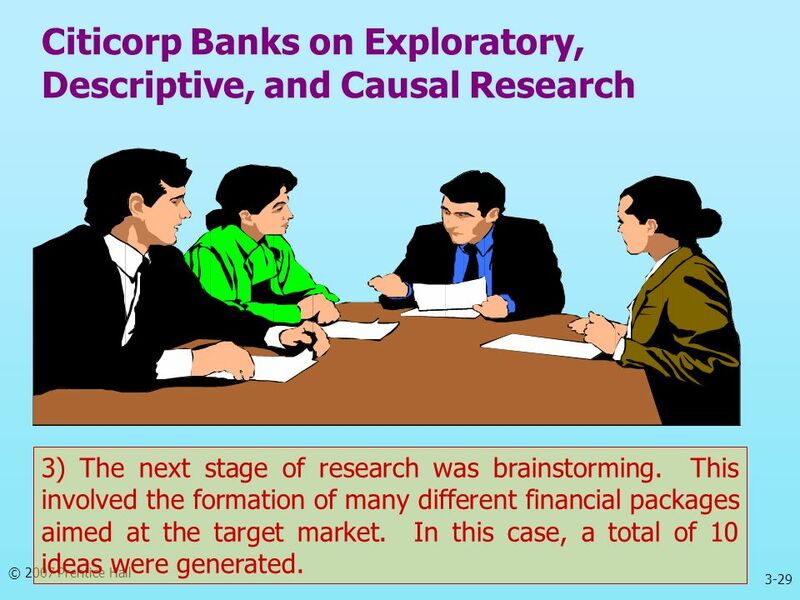 3) The next stage of research was brainstorming. This involved the formation of many different financial packages aimed at the target market. In this case, a total of 10 ideas were generated. Is there an available description of a specific target market for the proposed product? Does the research conducted so far indicate a potential match for target market needs, and is the idea perceived to have appeal to this market? Is there a feasible outline of the tactics and strategies for implementing the program? Have the financial impact and cost of the program been thoroughly evaluated and determined to be in line with company practices? In this study, only one idea generated from the brainstorming session made it past all the listed hurdles and on to step 5. 5) A creative work-plan was then generated. This plan was to emphasize the competitive advantage of the proposed product as well as better delineate the specific features of the product. 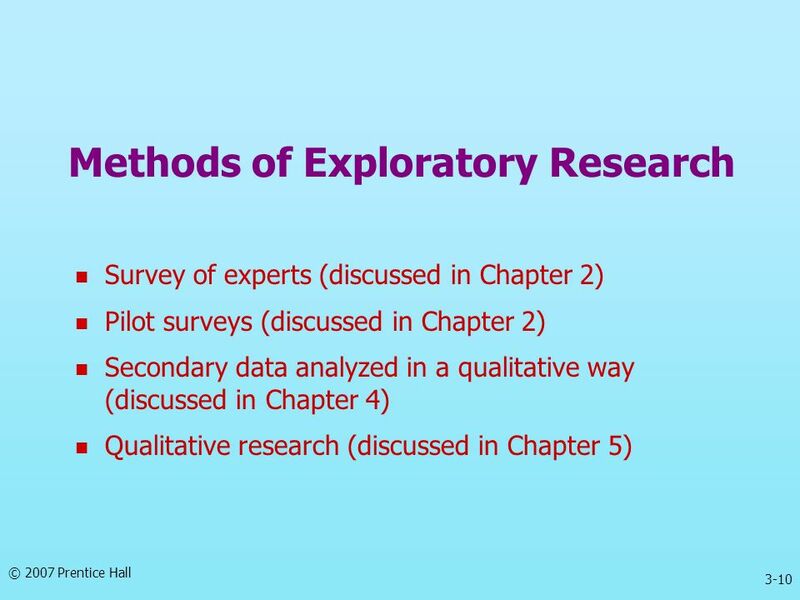 6) The previous exploratory research was now followed up with descriptive research in the form of mall intercept surveys of people in the target market range. The survey showed that the list of special features was too long and it was decided to drop the features more commonly offered by competitors. 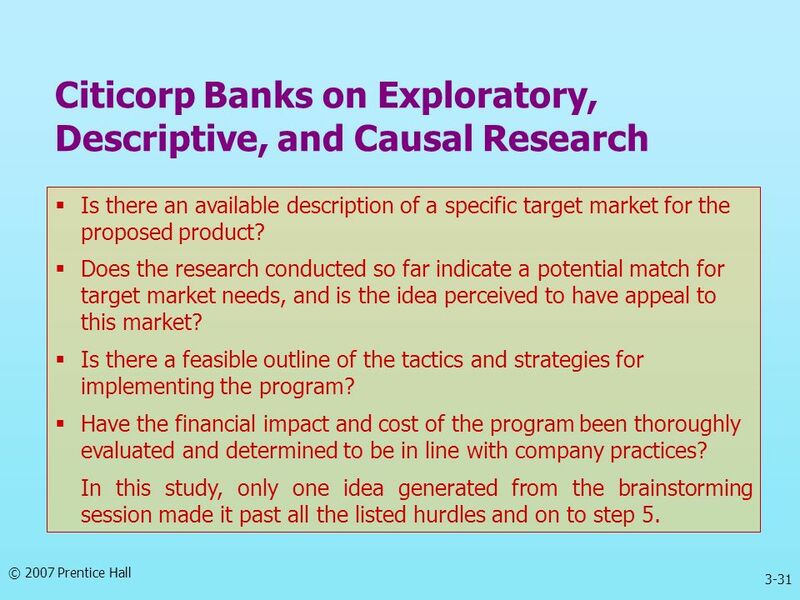 7) Finally, the product was test marketed in six of the Citicorp branches within the target market. 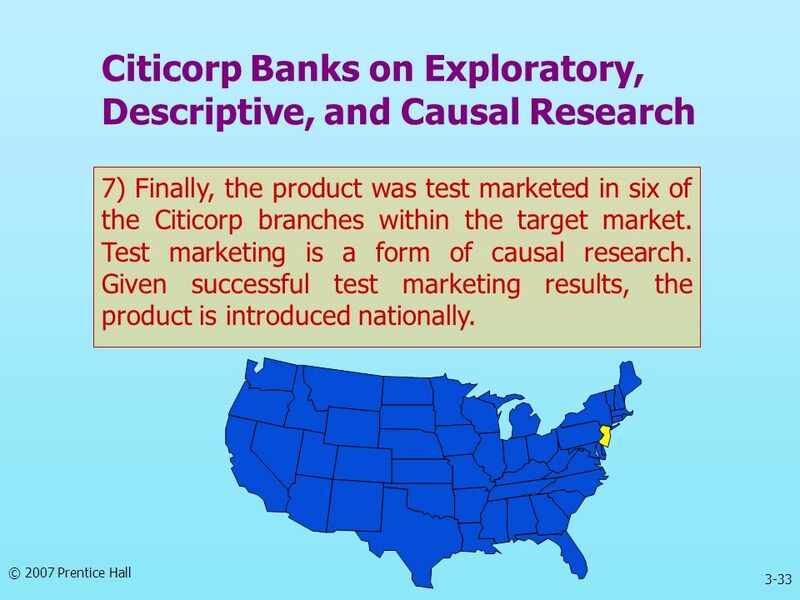 Test marketing is a form of causal research. Given successful test marketing results, the product is introduced nationally. Greenfield Online Research Center, Inc. ( based in Westport, Connecticut, is a subsidiary of the Greenfield Consulting Group. The Online Research Center conducts focus groups, surveys, and polls over the Internet. The company has built up a “panel” of several thousand Internet users, from which it draws survey samples. 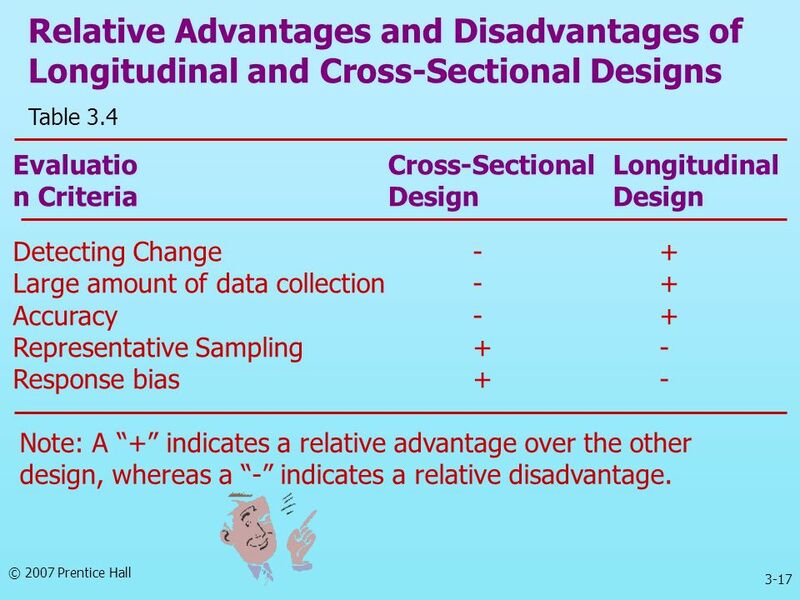 The samples may be used for descriptive research designs like single or multiple cross-sectional designs, as well as longitudinal designs. 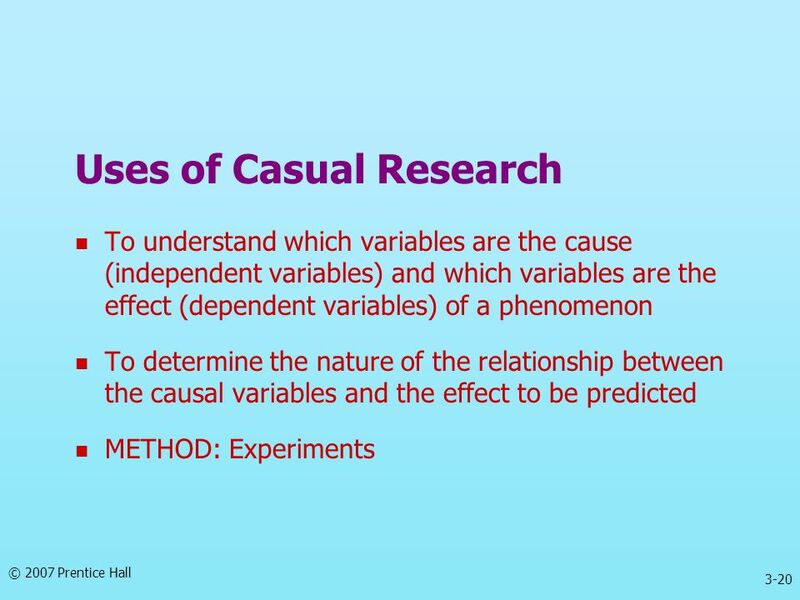 Causal designs can also be implemented. Respondents may also be chosen from the registered Internet users. Internet users wishing to take part in surveys and other projects begin by registering online at the company’s Web site. The registration consists of a “sign-up survey” that asks for address, type of computer used, personal interests and information about the respondent’s household. 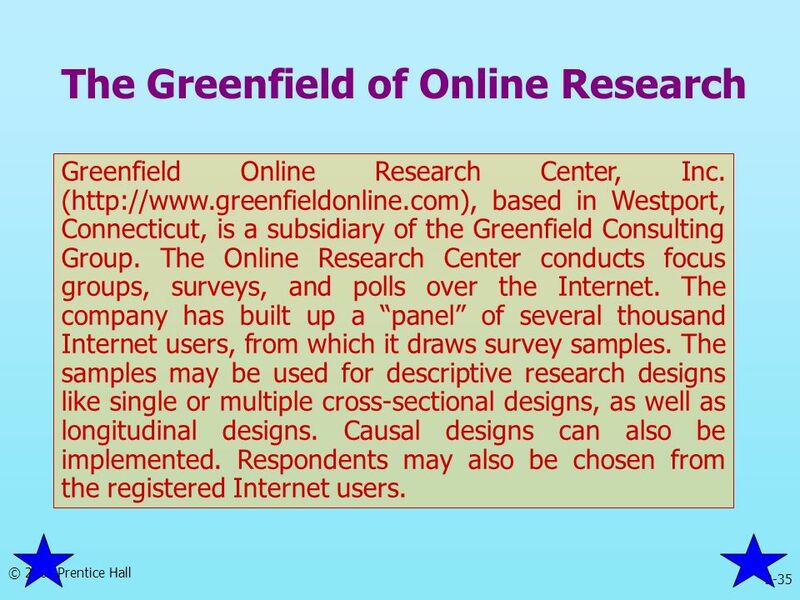 Once an Internet user is registered, Greenfield Online matches the user with research studies that are well-suited to his or her interests. Incentives to take part in focus groups or special surveys are offered by the companies whose products or services are being researched. This incentive is cash or valuable prizes. 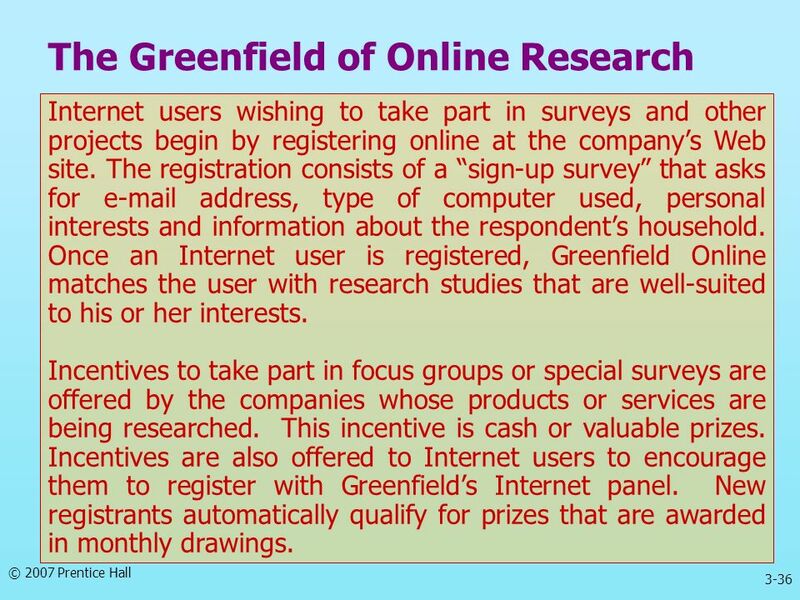 Incentives are also offered to Internet users to encourage them to register with Greenfield’s Internet panel. New registrants automatically qualify for prizes that are awarded in monthly drawings. 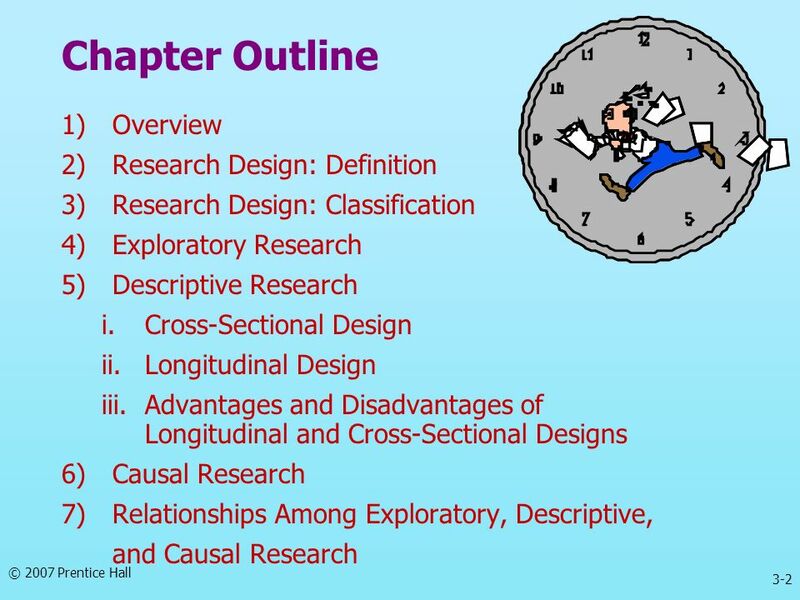 Download ppt "Chapter Three Research Design." 19/11/2007 9:15-11:15amAsian School of Business, Trivandrum Marketing Research Design: The Nuts and Bolts!! Figure 3.1. 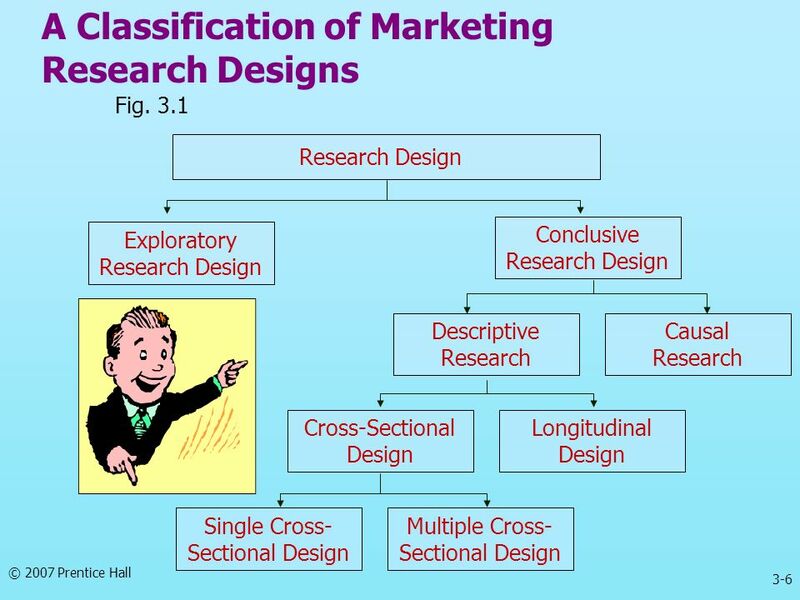 Relationship of Research Design to the Previous Chapters and the Marketing Research Process Figure 3.1Relationship to the Previous Chapter. Chapter Three. Figure 3.1. 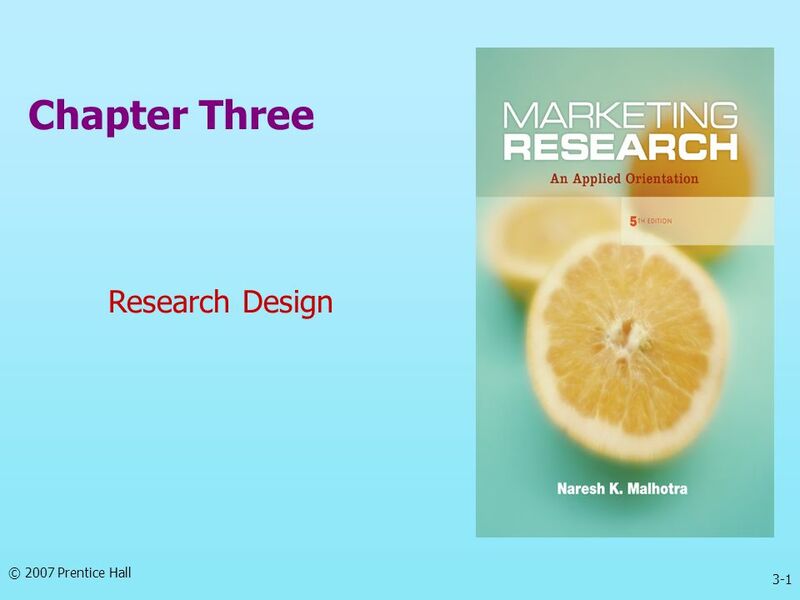 Relationship of Research Design to the Previous Chapters and the Marketing Research Process Focus of This Chapter Relationship. 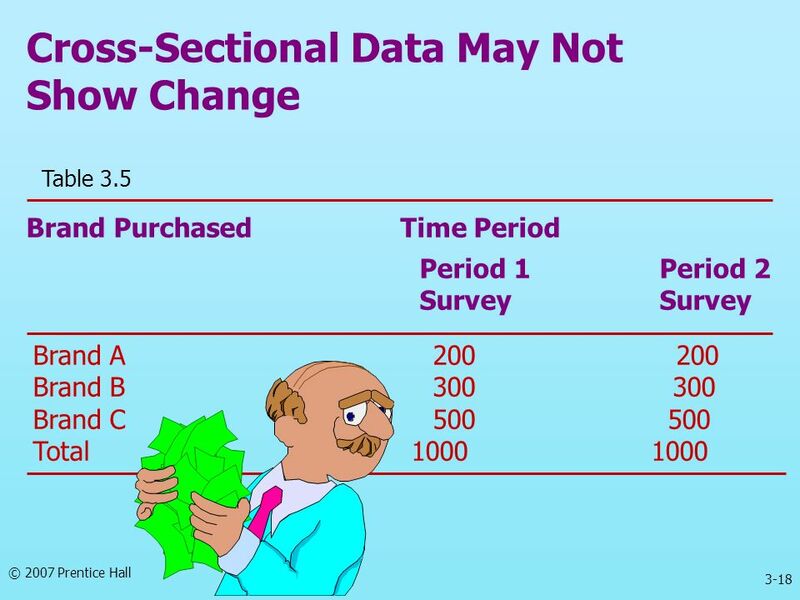 Brown, Suter, and Churchill Basic Marketing Research (8 th Edition) © 2014 CENGAGE Learning Basic Marketing Research Customer Insights and Managerial Action. 6-1 Chapter Six DESIGN STRATEGIES. 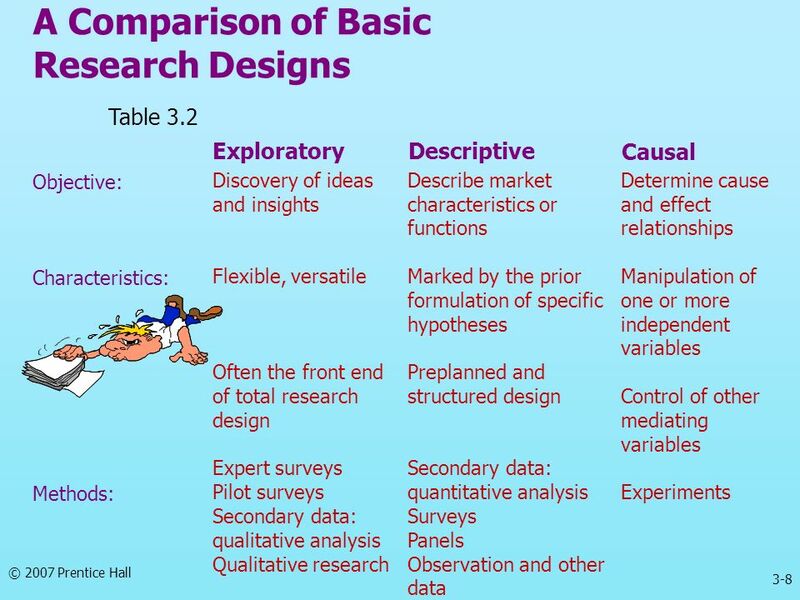 6-2 What is Research Design? 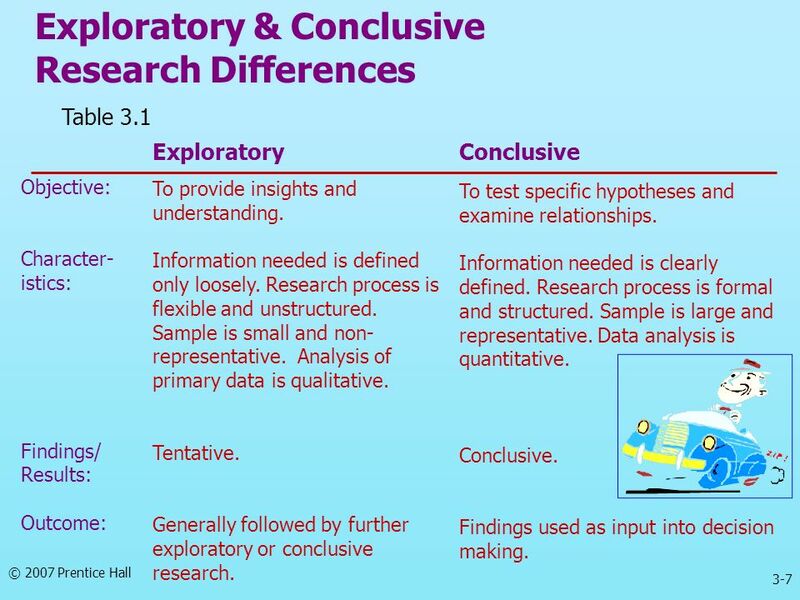 A plan for selecting the sources and types of information used to answer research questions. 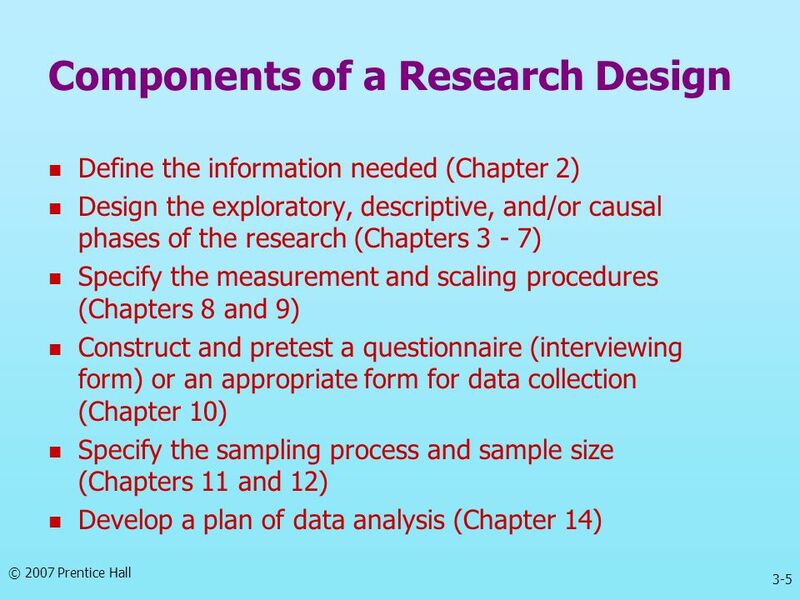 Chapter Three Research Design Formulation. The Proposal. The Final Product Introduction –Including your Management Question Literature Review Your Model –Research Questions –Hypotheses you plan. 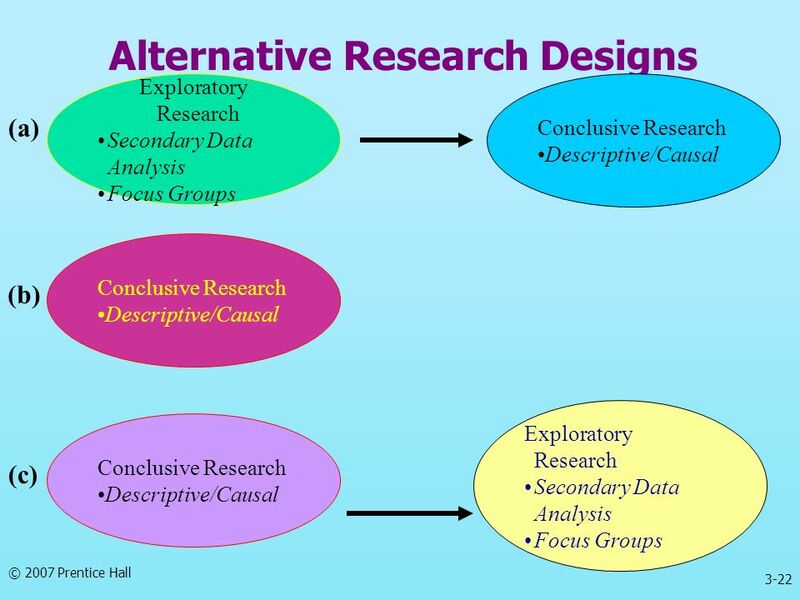 Creating Research proposal. 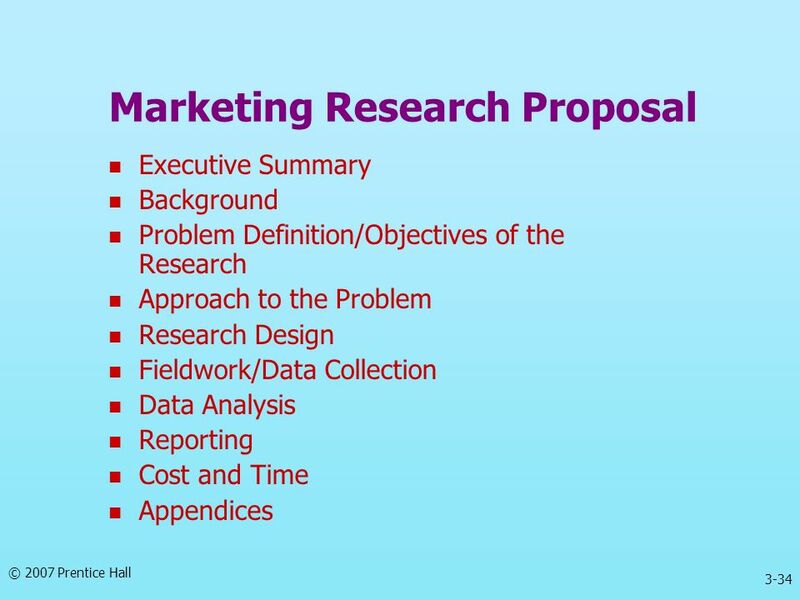 What is a Marketing or Business Research Proposal? 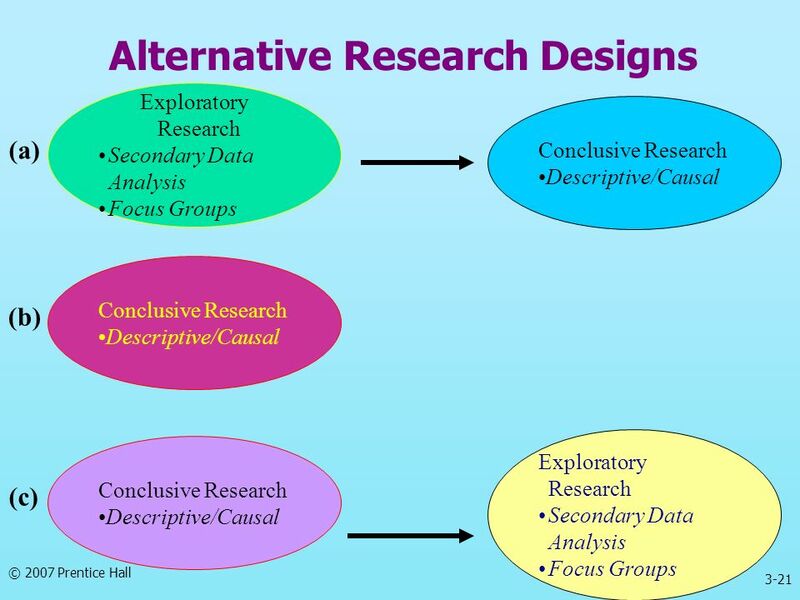 “A plan that offers ideas for conducting research”. “A marketing research. Descriptive Research Spending major dollars, expecting major results.